Our customizable re-engagement program reconnects your service department with vehicle owners that haven’t returned for service between 8-to-36 months. With our dedicated recovery experts and digital marketing initiatives the Customer Recovery program consistently delivers an average ROI of 7 to 1. Even more so than your normal customers, Lost Souls require a special touch. TCC callers connect directly with lost customers, update ownership information and schedule service appointments. Direct mail can't deliver that special touch, and that's why our efforts out perform traditional direct mail lost soul campaigns. TCC’s call center in California is constantly filled with our expert staff, consistently producing the results you expect. 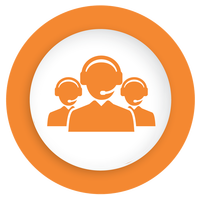 All of our callers go through rigorous training, where we emphasize customer relationship management, not just a quick sale. Email marketing campaigns that complement live calls make sure customers are consistently being reminded to service their vehicles at your dealership! Never miss an opportunity due to communication medium.